DAVOS (Sputnik) - Ireland wants to see clarifications from the United Kingdom on how it intends to move forward after the EU withdrawal deal was rejected in the UK parliament, a spokesman of the Department of Finance of the Republic of Ireland told Sputnik. "The Agreement, with its backstop provisions, is the only agreement on the table that provides the essential legal guarantee to avoid a hard border [between Northern Ireland and the Republic of Ireland] in any circumstances and protect the Good Friday Agreement in all its parts. What is needed now is clarity from the UK on how it proposes to move forward, and ultimately what it wants to achieve", the spokesman said. He called the defeat that the EU-approved deal suffered in the UK House of Commons "disappointing but not unexpected". "Ireland remains firmly of the view that the only way to ensure an orderly UK withdrawal from the EU is to ratify the Withdrawal Agreement as agreed between the EU and the British government. The EU has made clear that it stands by the Withdrawal Agreement and that it is not for renegotiation", the spokesman stressed. 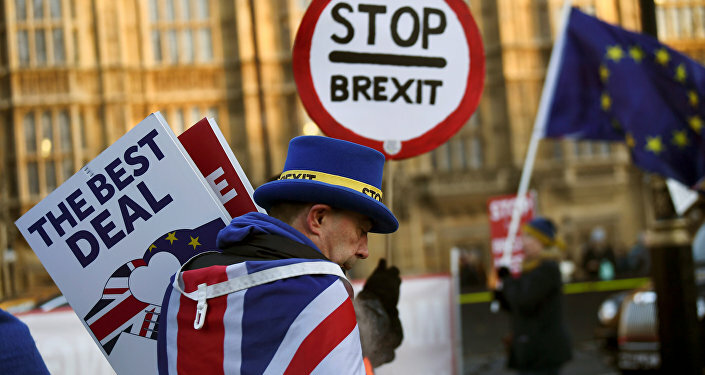 A no-deal Brexit would be the worst possible scenario for the Republic of Ireland, but proper fiscal policies are in place to mitigate the potential negative effect, a spokesman of the Department of Finance of the Republic of Ireland told Sputnik on Wednesday. "A no deal Brexit is the worst possible outcome and would not be in the interests of the UK, Ireland or the EU. Ireland stands to be most impacted by Brexit among the EU Member States given our close trading, economic and political ties to Britain. However, we remain confident that our economy is resilient and that appropriate fiscal policies are in place. This will help us to adjust to the economic effects of Brexit", the spokesman said. He stressed that Dublin's "key protection" would be its membership of the European Union "with all the stability and solidarity that brings, including our unfettered access to a single market of over 450 million people." The spokesman added that the Republic of Ireland had published a Contingency Action Plan expanding on its strategy for a no-deal scenario on December 19. Last week, the Brexit deal agreed by London and the European Union was voted down in the UK House of Commons, forcing the UK government to hold a series of cross-party talks to try to reach a consensus. However, Labour has rejected to join the talks unless the government rules out a no-deal Brexit. The backstop solution, which aims to avoid hard border between Northern Ireland and the Republic of Ireland, has been the source of concern for many UK lawmakers, as it may lead to customs checks within the United Kingdom and could keep the country aligned with the EU customs union for an undetermined period of time. However, the European Union insists that a backstop provision should be part of the agreement.